I started working on my next backpack scale CNC project. My backpack scale projects are tiny CNC machines that I can easy carry in a backpack to tech meetups and events. This machine is going to be a wooden nickel laser engraver. 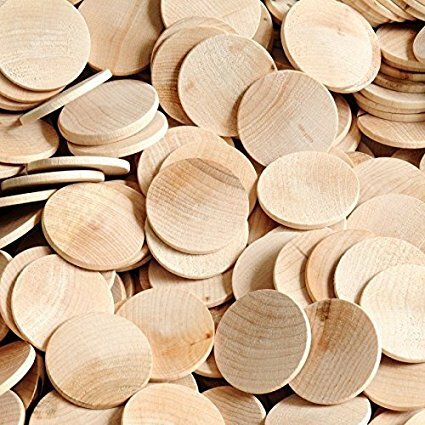 Wooden nickels are small wooden discs. You can buy blanks from various places, including Amazon. You can usually get 100 for less than $10. The goal is to create a machine that loads them from a feed tube, engraves them, then ejects them. The basic drive will be an H-Bot. It will be similar to the midTbot, but the motors are at the ends of the X axis. It will be fully enclosed, but I not started work on that part yet. I hope to be able to use a single hobby servo to handle the loading and unloading of the blanks. 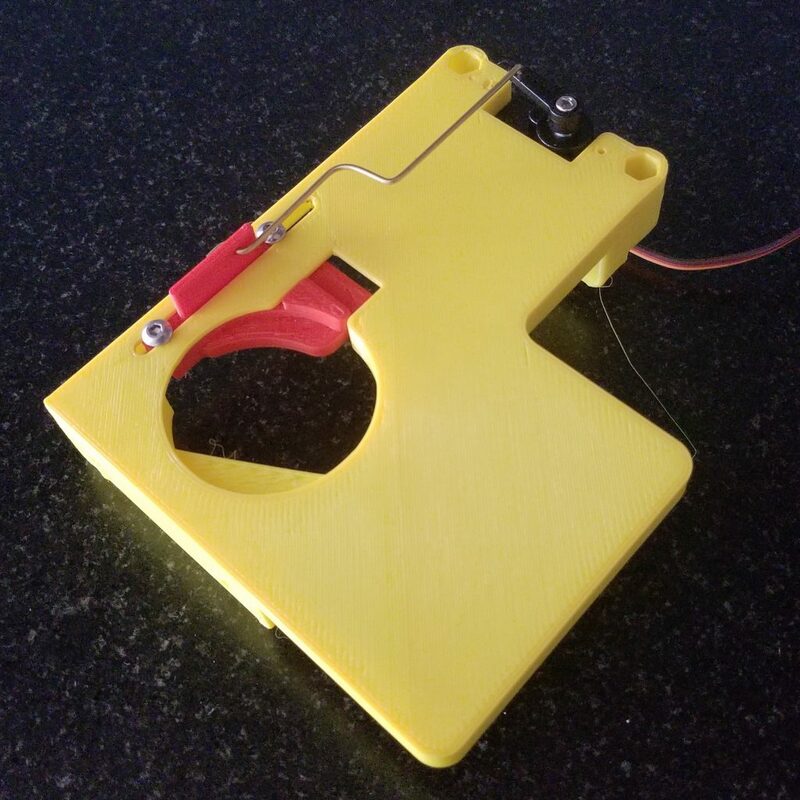 The servo will control a sliding device that has three positions. In the first position it acts like a support shelf for the disc. The bed slides under the feed tube and a disk drops into the pocket. The next position is the clamping position. This holds the disc still while engraving. The final position retracts the shelf so the disc drops through. The goal is to use a low cost controller like an Arduino Nano. 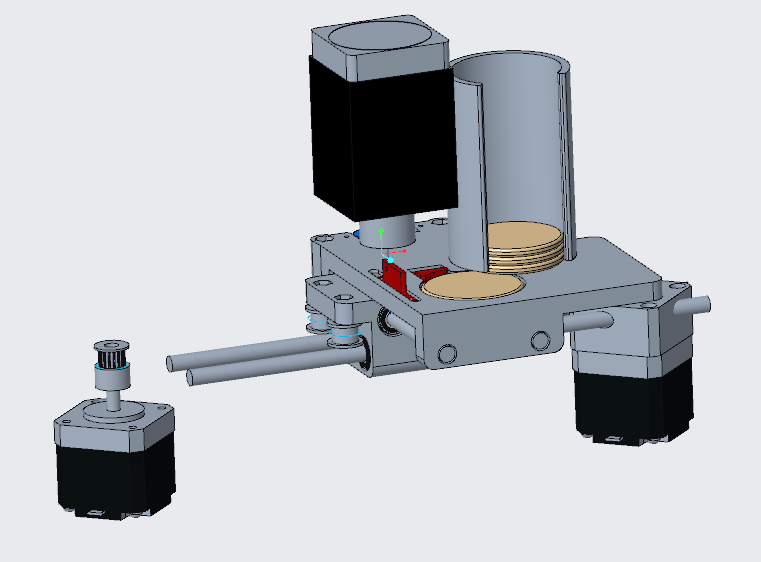 The major new feature of this design is the disc feed system, so I am primarily working on that right now. If you want to be notified of future blog posts, please subscribe. This entry is filed under Art, CAM, CNC, DIY, Laser, Laser Cut Stuff, Uncategorized . You can follow any responses to this entry through RSS 2.0 . You can leave a response, or trackback from your own site.